The Positivus Festival invites photographers to apply to become an official photographer of the Festival; ten photographers will have the possibility to document the largest popular music festival in the Baltic countries, obtaining unique experience and great shots. The Festival’s team will carefully select ten the most talented photographers. Applications will be accepted till 17 May. The main task of the official Festival photographers will be to document what happens at the Festival, including backstage; the particular tasks will be negotiated with every photographer individually based on their personal style and manner. Applications are welcome from young photographers and professional photographers who do not represent a particular medium. All the photos used in the Festival’s communication will have a reference to the author. 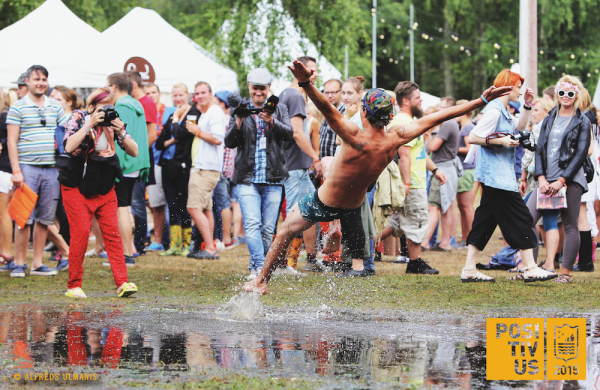 The official photographers of the Positivus Festival every year enjoy various advantages, e.g. to photograph the largest star artists close-up by the stage, to learn the latest news the first, to carry in professional equipment into the Festival territory, to attend the Meet&Greet events and press conferences, and, of course, to enter the backstage areas that are closed to the Festival’s visitors. “Being an official photographer at the Positivus festival was great. While enjoying all the benefits of having a media pass, I was able to fully concentrate on my day's assignment. This made the whole festival experience more purposeful and engaging. I also took the opportunity for professional growth and learned some new tips and tricks from fellow photographers. The vibrant and unrestrained crowd that filled the venue's natural surroundings overwhelmed me with lots of interesting subjects to capture,” Alfrēds Ulmanis, fotal.lv, official photographer of Positivus 2014, revealed. All the Festival fans who are into photographing and have dreamt of documenting the Festival are invited to submit their portfolio till 24.00 on 17 May to the e-mail address foto@positivus.com with the reference “Positivus 15 foto”. The portfolio must contain not more than ten photos in the coverage style from various events; portfolios not compliant with these requirements will not be considered. Having evaluated the submitted portfolios, the Positivus team will select ten photographers and contact them.